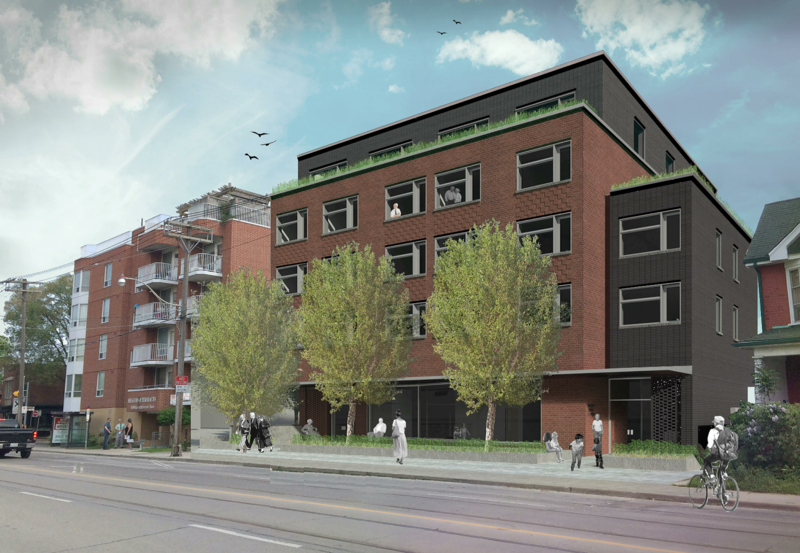 New Commons is building “deeply affordable” units in Toronto and Vancouver. Learn how. Building homes for all, in the right location, at the right size, and for the right price is what makes a healthy housing ecosystem. But more and more people are finding this task a challenge. New Commons Development is trying to change that by helping community groups, non-profits, co-ops and governments build affordable housing across Canada. As a non-profit, New Commons Development’s main difference from other real estate companies is the motive, which isn’t to make money. “We are not operating like a consultant or a private company. By virtue of that non-profit status, we essentially are leaving more profit in the project to be reinvested or employed in different ways,” says Hadley Nelles, Business Manager for New Commons Development. Though that may be a major difference between non-profit and for-profit developers, it isn’t the only one. “We’re mission-aligned to our partners. We have a lot of the similar end goals to these organizations we’re working with, which is essentially to build housing for people who exhibit housing need,” says Nelles. One of these projects is in the east end of Toronto, where New Commons is working with a community services organization to build 36 units of affordable housing for seniors. These units are designed with accessibility and energy efficiency features, and are located in a well-connected, walkable neighbourhood close to high quality green space. In partnership with strong local community organizations, New Commons Development has over 1,000 units of affordable housing in the pipeline that are at various stages of the development process. Another difference for a non-profit developer like New Commons? Affordability takes on a deeper meaning for the organization. While most housing developers may define “affordable” as a certain percentage of market price that fluctuates based on the housing market, New Commons aims to develop units that are priced based on income. This varies in range for each project, up to 80 per cent of the median income of a city. New Commons Development is even innovating within the non-profit development sector, raising its own capital to shoulder the upfront, pre-development costs associated with housing developments. Visit the New Commons Development website to learn more about the organization and their work in Vancouver, Toronto and other communities across Canada. Ten top decisions to make in order to build flourishing provinces, territories and municipalities in Canada.